The Yankees have four major free agents this summer: Derek Jeter, Mariano Rivera, Andy Pettitte, and manager Joe Girardi. It seems impossible that any of the three players wear any uniform other than the pinstripes next season — unless Pettitte and Roger Clemens decide to play mean girls again — and Girardi has never been considered much a candidate to bolt, either. After all, the Yankees want him back, and if the Yankees want him back, why, jeez, of course he'd come back. Why wouldn't he? Well, Cubs manager Lou Piniella announced he'll retire at season's end next year, and the Post's Joel Sherman floats an intriguing idea: Would Girardi consider going to Chicago? We think he would. We think he definitely would. First off, there's the obvious: Girardi grew up in Peoria, Illinois, went to Northwestern, met his wife there, and still has ties to the community of Evanston. The north side of Chicago is Girardi's home turf, essentially, and the Cubs are to the north side of Chicago what the Yankees are to New York City as a whole: the company in a company town. You can be assured that at get-togethers among the extended family, he's been having the "When you gonna come manage the Cubbies?" conversation for years. He also has history with the Cubs franchise. 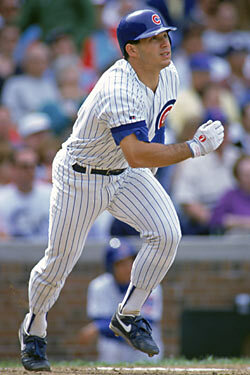 He played for the Cubs on two separate occasions: The first time he actually played in the 1989 National League Championship series loss to the Giants, and the second time, at the end of his career, was marked mostly by announcing to the Wrigley Field crowd that the day's Cardinals-Cubs game would be canceled because of "a death in the Cardinals family." (It was the day Darryl Kile was found dead in his hotel room.) He even has broadcasting history with the team: He was on the ESPN Radio microphone the night of the Steve Bartman game. But mostly: From a quality-of-life concern, you can make an argument that Girardi would be a lot happier managing in Chicago than he would in New York. Ostensibly, there are surface advantages, being home, having a new ownership that's eager to spend some money and impress, the ability to hang around in the sun on a Monday afternoon in one of the most beautiful places on Earth. Personally, though, legacy-speaking: Girardi can become a hero if he goes to the Cubs. If Girardi wins another World Series in New York, well, that's great, we'll factor that into your next contract "negotiations," Joe, but don't forget, if there's a year you don't win one, everyone will let you know about it every day. If Girardi wins a World Series in Chicago? He'll be on the cover of Time. Sure, the Yankees have a better roster and farm system than the Cubs do right now, but the Cubs are willing to put up the cash, and play in a division that's not nearly as competitive as the AL East. An off year in the AL East and you're in fourth place; an off year in the NL Central, and you can still win 86 games and have a chance. A World Series win with the Cubs lets Girardi dine out for life. How many titles does he have to win in New York just to be considered on par with Joe Torre? Five? Six? In Chicago, he only has to win one, and he's looking at the Hall of Fame. He'll probably stay here. The Yankees job is stressful, but you'll never lack for talent. But he has to at least be considering Chicago. He'd be a fool not to.